Saturday April 20th we’re kicking off our big year with the first of 40 Events to celebrate our 40th Anniversary! 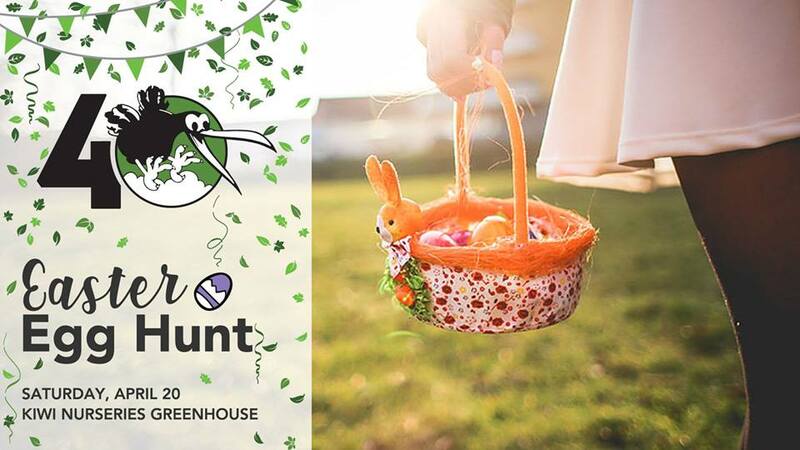 Come out and join us for some early spring time fun with an Easter Egg Hunt in our greenhouse! We will be hiding plastic eggs in our plants, each with tickets inside. At the end of the hunt, kids will be able to exchange their tickets for a surprise! We will also have story time, crafts, and animals on site. Glory Hills Photography will be available to capture your family’s memories from the day. Mini photo shoots will also be available. ADMISSION: Monetary or food donations for the Parkland County Foodbank will be accepted for this event.